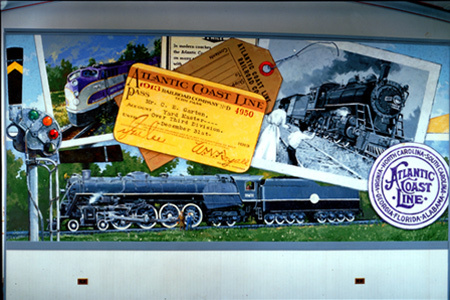 Interior of the historic train station in Wilson, NC, 20´ X 8´. 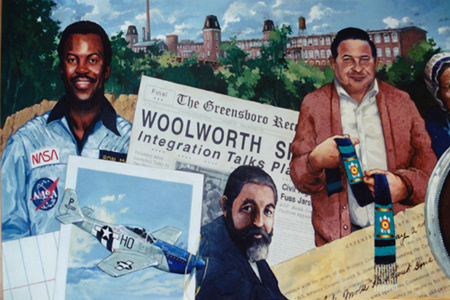 Greensboro Public Library, Main Branch, Greensboro, NC. 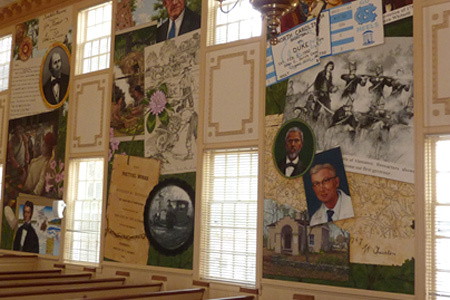 Detail of the 40´ X 7´ mural of the city's history in the main lobby. Meadowmont Club House, Chapel Hill, NC 16´ X 18´. “As a painter I am fascinated by the effects of light on water. 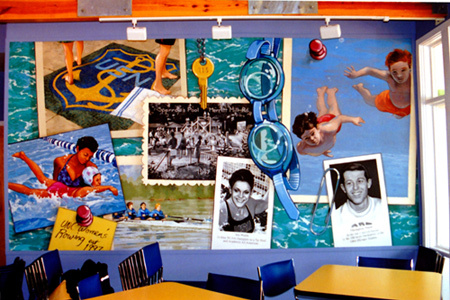 This mural shows local medal- winning swimmers and scenes of aquatic sport at UNC Chapel Hill.